Support your local GP practice! Get your flu jab at your GP surgery. Funding from giving you a flu jab enables us to provide other services throughout the year. 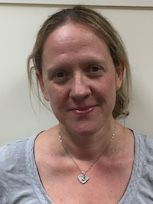 Dr Rowell works 6 sessions per week and enjoys the holistic nature of general practice and has a special interest in Palliative Medicine. She also enjoys Child Health and runs the weekly baby clinic at the practice. 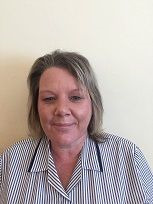 Dr Rowell also works alongside the practice diabetic nurse in the weekly Diabetic Clinic. 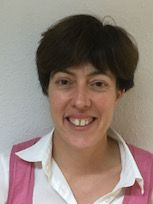 She is also involved in the teaching of undergraduate medical students who are sometimes placed at the practice from the University of Bristol. Dr Chakrabarti works 6 sessions per week. He has an interest in doing steroid injection and is experienced is treating knees only. To request an injection, please see a GP first for a referral. Additionally he does the 6 week baby checks when Dr Rowell is away. Dr C currently has an interest in technology and manages the website and texting services. Outside of work, he does ad-hoc out of hours shift for BrisDoc and has in the past he has done voluntary medical cover at the Glastonbury Festival and The Bath and West Festival. Dr Mann works 4 sessions per week. She runs monthly plantar wart (verrucca) cryotherapy removal. Dr Ewen works 6.5 sessions a week. She works alternate Mondays with Dr Chakrabarti. She has a special interest in Gynaecology and Family Planning and is experienced with coil and implant insertions. Dr Birdi works 5 sessions per week. 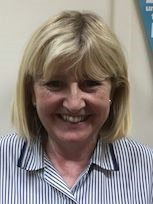 She joined the practice in September 2017. She does the 6 week baby checks when Dr Rowell is away. 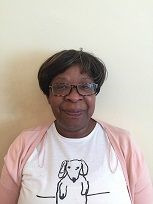 Tina is interested in Asthma and COPD and she runs our Stop Smoking Clinic. Immunisations for foreign travel and for routine child and adult protection. Well Person clinic, Diabetes clinic, Hypertension clinic, Asthma clinic, Smoking cessation advice. She also helps with the on-calls on alternate Mondays triaging Minor Illnesses and then seeing appropriate patients. Elaine has an interest in Asthma and COPD. Pauline is responsible for the daily running of the practice. We aim to maintain a viable practice and to provide competent friendly all round family medical care. We also try to improve on existing ways of doing things, so if you have any complaints or suggestions please let Pauline know. We have seven part time reception staff and the reception area is the organisational centre of the practice. The receptionists are here to help and advise you in your dealings with us, but their job is very demanding. They must deal with enquiries from all directions, frequently simultaneously, and we would ask you to be patient. Our team of secretarial and clerical staff provide administrative support for the practice, releasing reception and clinical staff to devote their time to patients.